Jay Cunning's Sub Slayers label has now reached the fifth instalment of the increasingly respected Sub Slayers Series. He's scored a real coup here, by signing up rising 21-year old producer Toronto Is Broken to both curate the tracklist and provide an exclusive mix too. 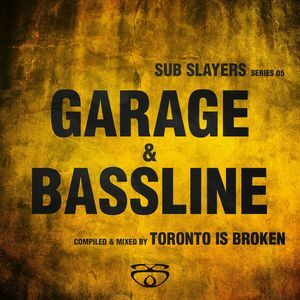 The focus this time round is firmly on garage and bass, and there are 26 bleeding edge selections to explore. Highlights include the aquatic synth pads and bottom end rumbles of Sourkrush's "Giving Me Life (Dead Belly mix)", the haunted soul-step of "Laundry Time" by Atomic Drop and the grimey dancehall of "Twinkle" by Gella.